Vita Hsieh, Director of Early Start Music, is a true artist in music and art and is an early childhood music specialist. Vita is fluent in Mandarin. Having earned her Master of Fine Art in Academy of Art University in San Francisco. She used to work in the movie industry at Disney and Sony as a digital painter. Later, Vita found her love as an early childhood music specialist, and studies Master of Music in Music Education with Kodaly emphasis from Holy Name University in Oakland, CA. Vita is also an Orff Schulwerk Level lll certified teacher, from the San Francisco International Orff School. 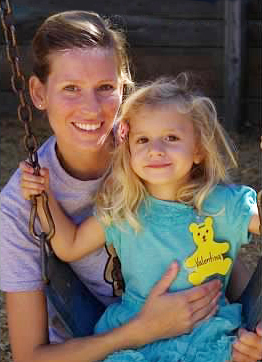 Vita got inspired to be a music teacher when she started taking Music Together® classes with her daughter. After becoming a trained Music Together teacher, Vita taught music and movement in preschools around the East Bay and San Francisco. In addition to Music Together, Vita teaches a Mandarin curriculum class, Kids Go Mandarin, for parents and kids that she has developed and composed. She also leads an Orff ensemble for kids age 6 and up and is a choir teacher and used to work in Piedmont Choir with Girl Training 1. Vita plays piano, guitar, ukulele, percussion, and recorder. Vita truly believes music is a critical part of early childhood development and commits herself into building a community which involved all families and their children through music. Vanessa Brown believing play-based education is the best “work” for young children, Vanessa utilizes her love of song and dance to provide an interactive and spirited class. 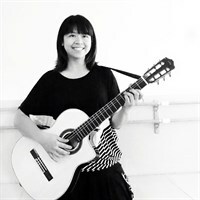 Showcasing an array of musical instruments including the flute, piano, guitar, ukulele, banjo, as well as percussion instruments, she promotes the child/caretaker bond as well as the connection between other families in the class community. Her warm, enthusiastic energy makes each song sparkle with imagination and creativity; drawing her inspiration from her of four young children who love to help prepare for her musical adventures. 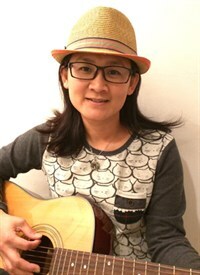 Teacher Chih Hui is a "Music Together" registered teacher. She has been connected with music learning since childhood. She was in the school percussion band, marching band, and the school chorus. She discovered her inner music passion again while she was in her children’s music classes such as music together, Kodály, and rock band. She recently restarted guitar and piano lessons, and drums with her son. She consistently creates a music environment at home and engages with kids through music by jamming with instruments, dancing and discovering new music with her kids. Chih Hui found the importance of early childhood education and language development at an early age. She is pursuing an Early Childhood education and is involved in Mandarin immersion education resources and teaching. She came across Teacher Vita’s Mandarin Music class (music and Mandarin language learning) and she was inspired to get involved in teaching. Chih Hui believes a child's music and language learning needs to happen in class, and also at home. She hopes she can share her passion and experience of a child’s Music and Mandarin learning with other parents. Looking forward to sing, play and learn with you and your kids. Teacher Chih-Hui is fluent in Mandarin. She is currently teaching "Kids Go Mandarin" in Oakland Asian Cultural Center and Berkeley Hanwen school. She is also our Music Together substitute teacher in Early Start Music. Teacher Ping earned her BA in education and early childhood development in Taiwan. She was a preschool teacher before. Ping loves engaging children through music and movement and enjoyed taking her own children to Music Together classes for 3 years. She felt in love with the Music Together program and amazed to watch her sons develop their rhythmic and melodic abilities as a result of the rich musical experience of class. 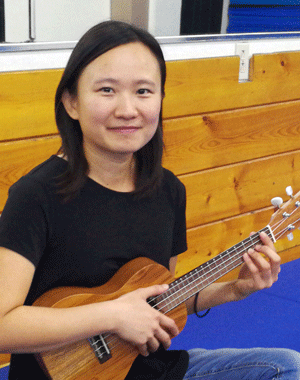 Ping comes from a family where music is always present and she plays ukulele and piano. 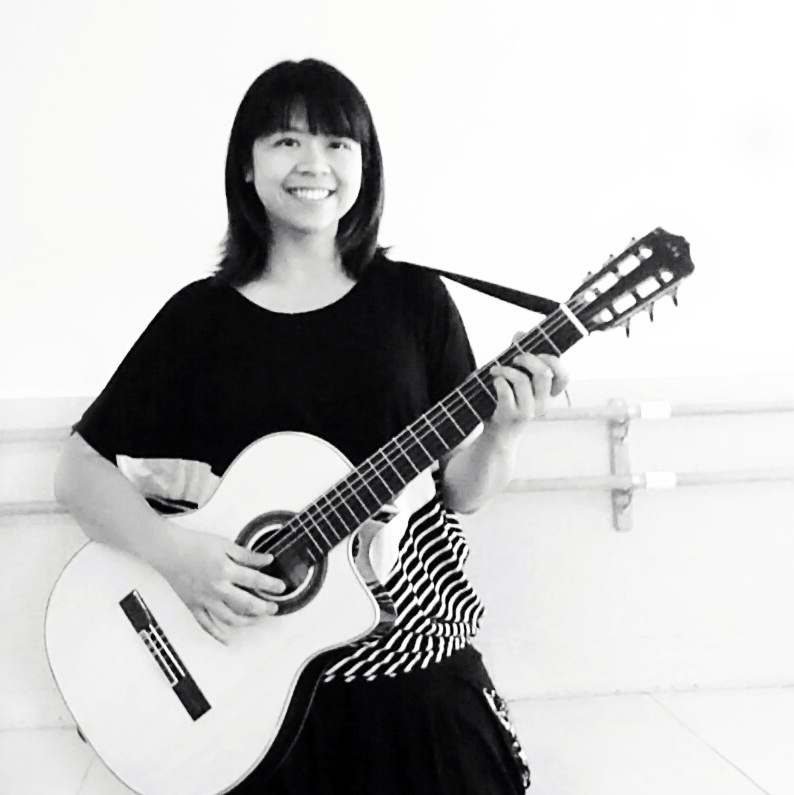 Ping became a registered Music Together teacher and hopes to share the joy of music and teach children the fundamentals of music through rhythms and movements. Teacher Ping is fluent in Mandarin. She is teaching Music Together and also Kids Go Mandarin in our center.